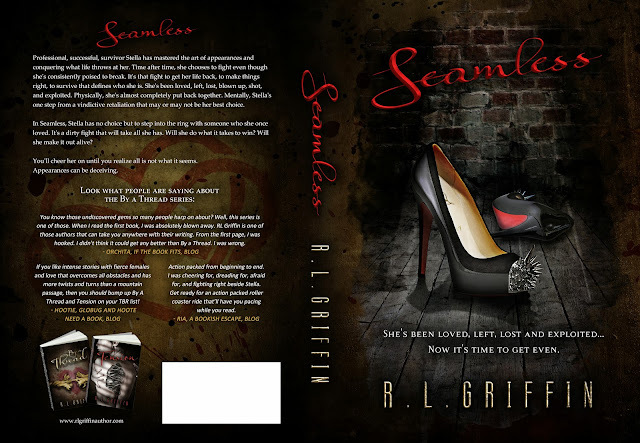 We are very excited to be taking part in the cover reveal for Seamless, the third a final book in RL Griffin's By A Thread Series. Not read the first two books, By A Thread or Tension? Here's you chance to win an ebook of one of them. I have not read this series yet, but they are on my TBR list. Thank you for the giveaway!! I have not but they sound great! I have By a Thread, haven't had the chance to read it yet, and I haven't picked up Tension yet. I know I need to get it together and just read faster, all these great books! I haven't read either book yet but would love to! I haven't read them but plan on doing so very soon!! Thanks for the giveaway! No but they are on my tbr! No haven't read them yet! I haven't gotten a chance to read book 2 in the series. I haven't, but the cover and blurb for this book definitely makes me want to start soon. Haven't read them yet they are on my TBR list!